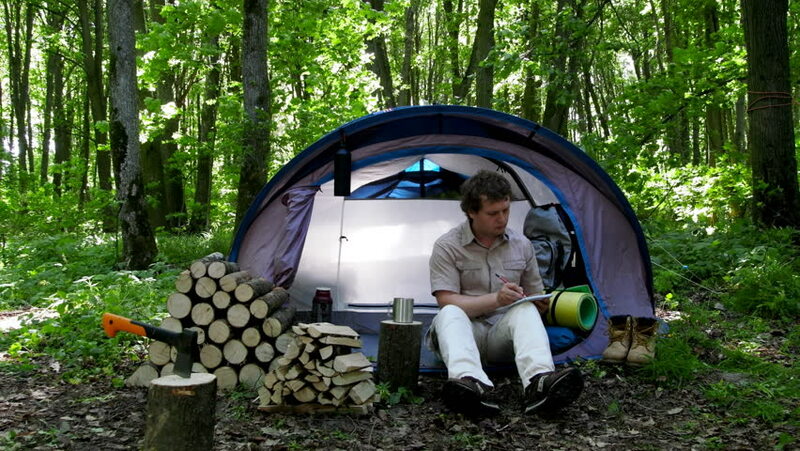 4k00:16Backpacker takes notes in a notebook outdoors. Campground in nature. hd00:08Traveler man sitting near the tent in forest and using digital tablet. hd00:09Traveler man sitting near the tent in forest and talking on mobile phone.